The X-10 Pulsoids no longer have a mounting stud, but a mounting backplate instead. These have a habit of backing out if the mounting plate screw is too tight. It is CRUCIAL to tighten it back up because it holds the plunger stop and seal in place. However, there is no real torque value to apply to it so it just needs to be tightened, and it is a good idea to add a drop of thread sealer on there to keep it in place. 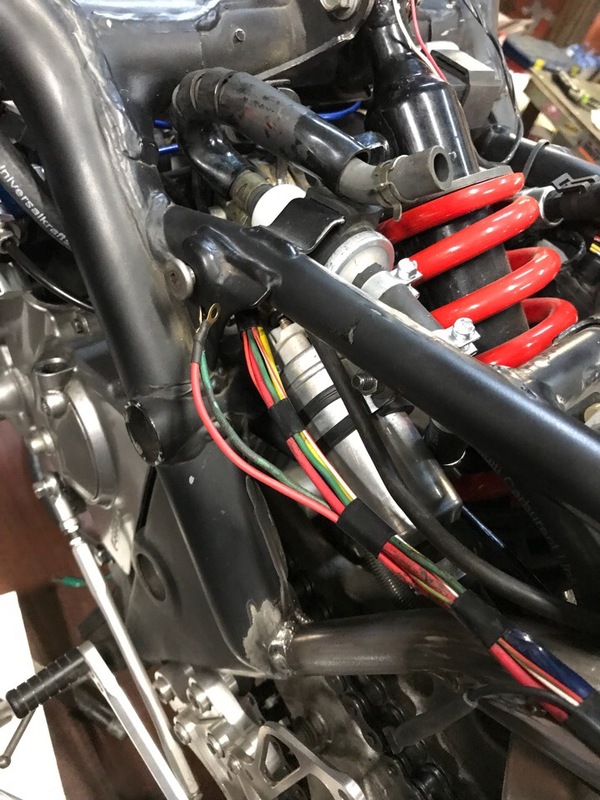 You can also mount the transducers remotely with some extra plumbing parts in order to fit your bike. As far as I understand "never use loctite on the mounting nut/stud" restriction is also dedicated to the previous mounting? Is it now acceptable to use some thread lock on mounting plate screw? I would not put it on the screw, no. When installing transducer directly into purge port, should I keep both black and white seals? Black seal was under the blank. White seal came with gauge kit. BTW, is there any difference between transducers installation place from controller's point of view? I mean will MaxExtrme gain the same values from transducer in purge port and transducer in T-pice on the bottle? Can I use 1/8bsp[male] to 1/8bsp[female] 90 degree adapter directly in a purge port to change transducer orientation? I want to make it parallel with X-10 body. I don't recall whether you need both, I would just make sure that the white seal is compressed enough when the sensor is installed. There is no difference, you can use it anywhere that's convenient. Yes, the values will be the same. Place it wherever you need to so that it fits on the bike the way you would like. 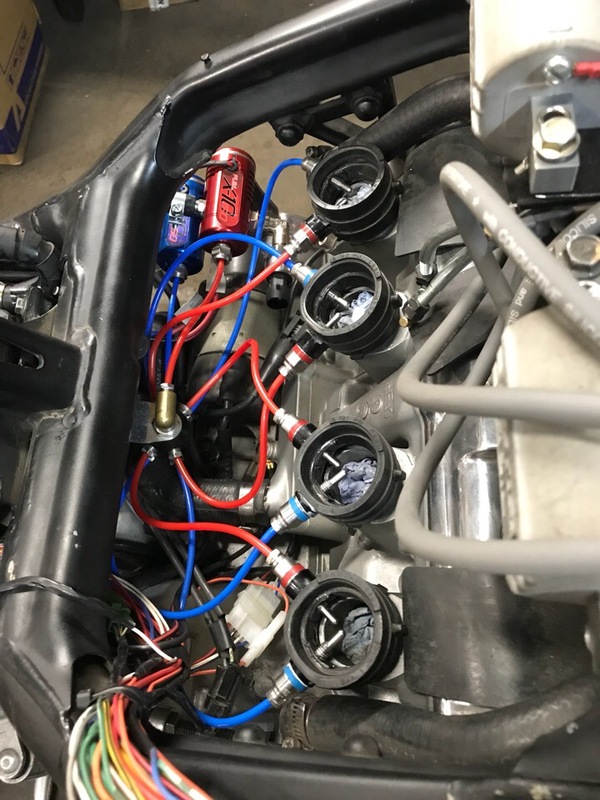 Can I use this adapter http://www.noswizard.com/nitrous-ancill ... f-tee.html to install pressure gauge directly on the 20oz bottle? My current bottle has 5mm outlet port (it accepts 5mm olive nut). Does it use 1/8BSP thread on the valve side? Yes, you can use that adapter at the bottle valve. You'd have to remove the 5mm adapter from the valve and relocate it to the tee adapter and the tee adapter to the valve. The downside to this method is that if you have to switch to a spare bottle, then you will not have the sensor unless you transfer it over and that will take up a lot of time to cure any sealers. 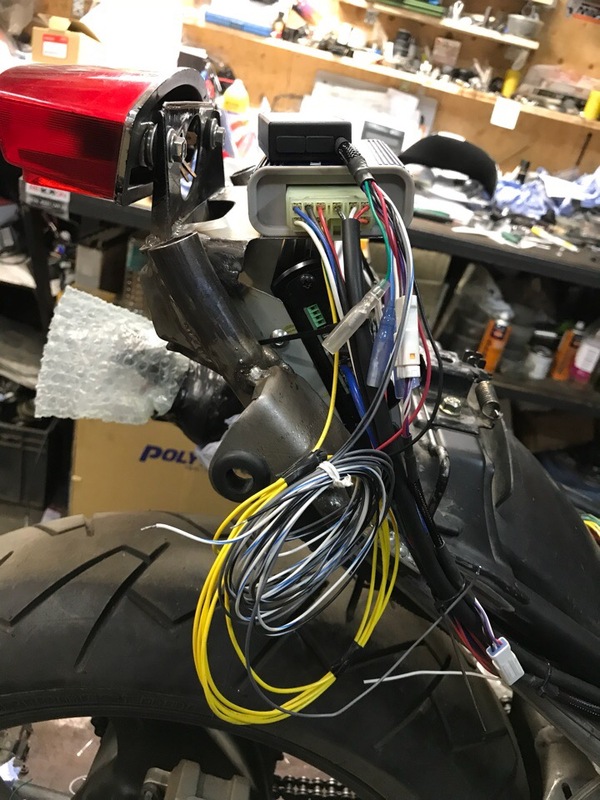 Alternatively, you can use a remote mount setup that will allow you to install the sensor anywhere on the bike by splicing into the supply line. This will allow you to switch bottles with ease since the sensor isn't held hostage by the valve. My idea is to mount pressure gauge (not transducer) directly to the bottle. But I guess, that I can just use the valve with this gauge on some spare 20oz bottle (when I will have it). I also have a dash mount kit with T-piece, that accepts 5mm olive nuts and 1/8''BSP-to-5mm adapter. I want to use it for mounting N2O transducer. But I believe, that female should be BSP (not tapered). X-10 inlet, outlet and purge ports - 1/8'' BSP female. 20oz Bottle valve outlet port - 1/8''BSP female. 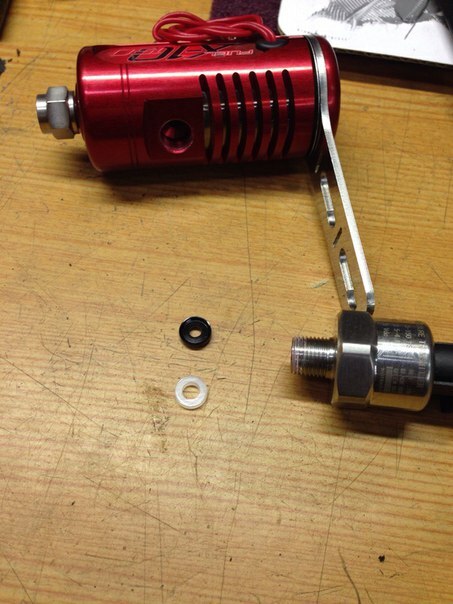 As far as I understand, I can use any adapter/t-piece with 1/8''BSP or 1/8''BSPT male thread. They would appear to work for 1/8 fittings, but not for use with the supply line nuts and olives. I have one question about connecting WB2 to MaxExtreme. 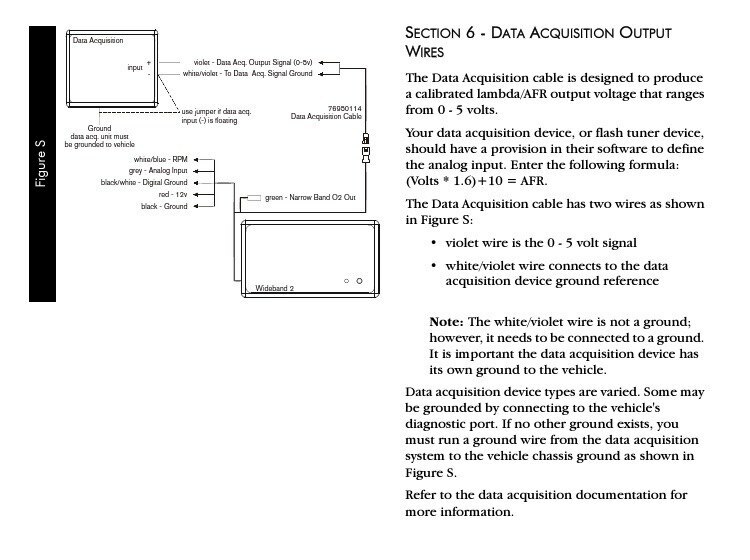 Does it mean, that white/violet wire from WB2 should be connected to Max's R2/R3 system ground? It appears that they want that wire to be connected to the negative (return) part of that circuit. The max ex needs only the 0-5v input, so you can just ground that other wire and see if it works. The analog output from the device requires 2 wires to give a voltage signal: Violet is the 0-5V signal and white/violet is the ground for that signal. You can connect the black to vehicle ground, but not the white/violet. We don't want to have a floating ground. What device do you have that doesn't have a ground for the analog input? That's very odd. I'm not sure how they use only the signal input. You will need to contact the manufacturer about how they bias the ground from the input. They may just have you ground it to the system ground, but I'd recommend that you ask them. So, I have wrote to technical@noswizard.com to clarify this moment. The other idea that came to me: try to use Maxi as a controller for additional fuel pump. 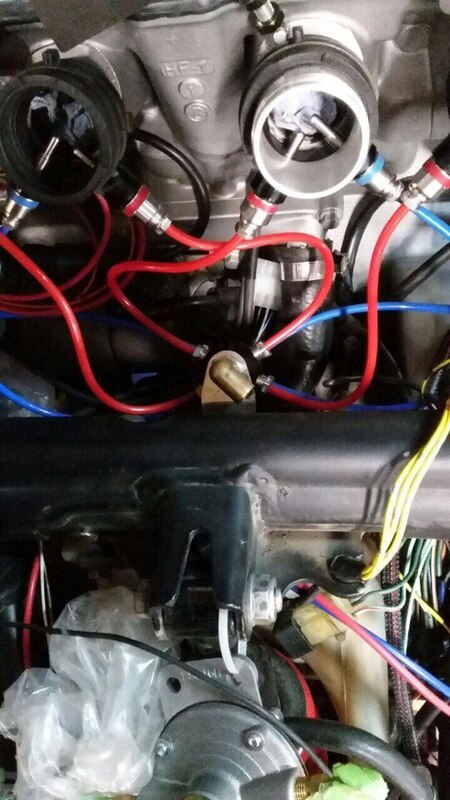 I am using separate fuel pump for NOS (it is connected directly to fuel pulsoid). My basic plan is to switch it on simultaneously with all NOS system (like pulsoids). Since I didn't use any reverse valve (my fuel tank doesn't have any reverse line) i thought it would be nice to turn it on/off based on some fuel pressure ratio (I belive Maxi should know it via fuel transducer). The only possible issue is how quickly the fuel pump builds pressure when the system is on. If the pressure is too low for the Maxy to fire, then it could result in a laggy system. I haven't tried such a setup, so you can test it and post results. Also, the maxy only uses the input signal because it has it's own ground. I have an AEM AFR meter and it outputs through 1 wire and it reads the 0-5v just fine. I want to add 30hp. 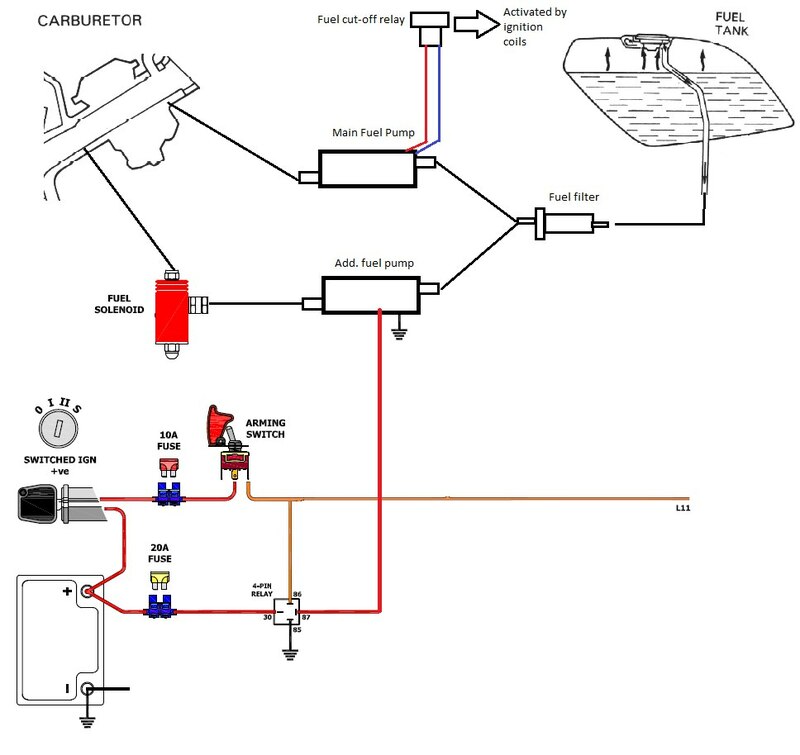 For fuel line I am using additional low-pressure pump (Pierburg 7.21440.53.0) that should produce 0.15 bar (~2.2 PSI). 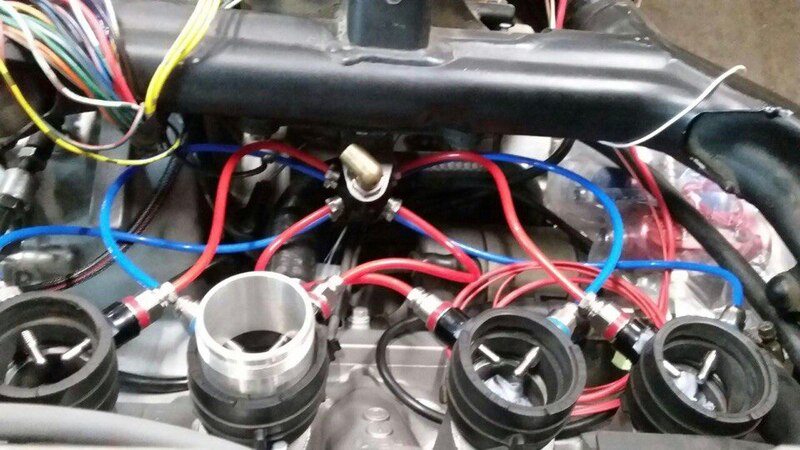 - fuel tank modification (weld reverse input) + adding a reverse valve to additional fuel line. But I don't know how to detect correct PSI ratio that shouldn't be exceeded (exceeding this PSI should activate reverse valve and drop off excess pressure back to the tank). 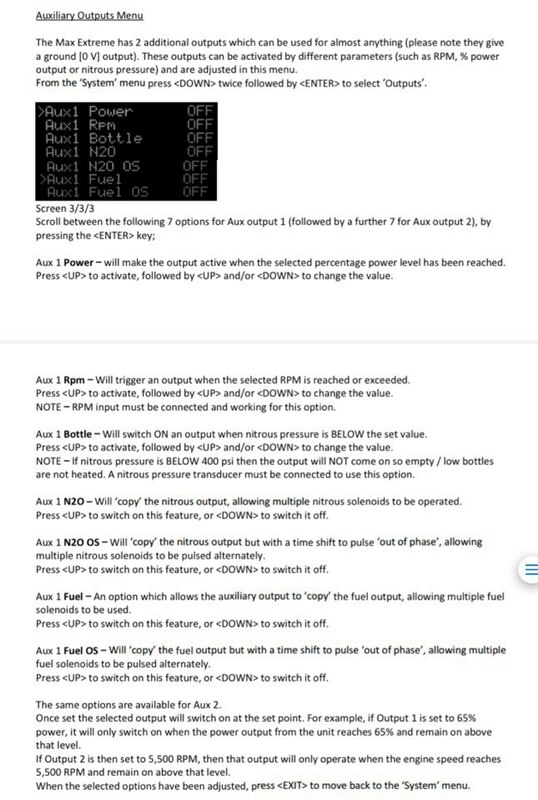 Cant you please point me which option and where should I choose for correct Maxi setup. Easy to clarify for you and anyone else who comes across this situation. The White/violet ground reference needs to connect to terminal R2 or R3 which are the system (reference) grounds for the max. The Violet wire needs to go to R14. Good to know there, Dave. It's written that it should be powered with +5 VDC. So where is the truth? Which Maxi's output should I use for Transducer's power supply? R4/R5? The nitrous's pipes are longer than fuel's pipes. Is it OK? Is this pipe's routing correct? Is there any need for connection of my neutral sensor to R11 ? 1. The sensors have been changed since the Max instructions were created. Thank you for pointing out the discrepancy, we will get on to updating the instructions to prevent confusion in future. The sensor you have can be connected to R4 or R5 +6v output. 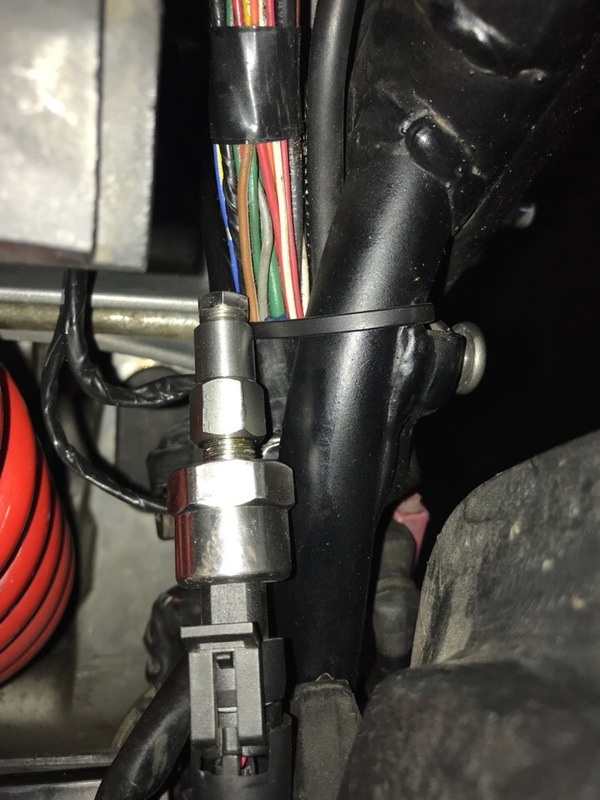 The sensor is stamped with 5v but the specs actually allow it to run at 6v so is fine to connect to. 2. 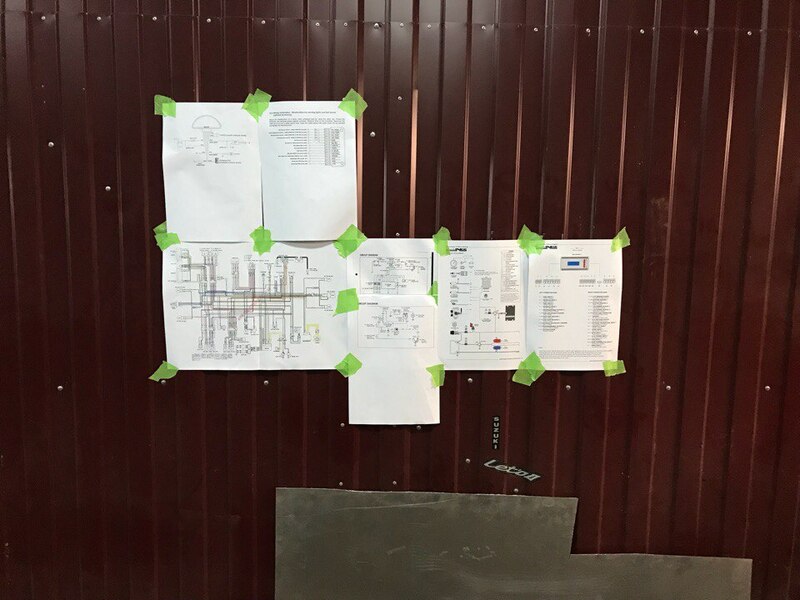 The pipe routing is great, good job on understanding the principals of equal length. The fact that the Nitrous are longer is a good thing. 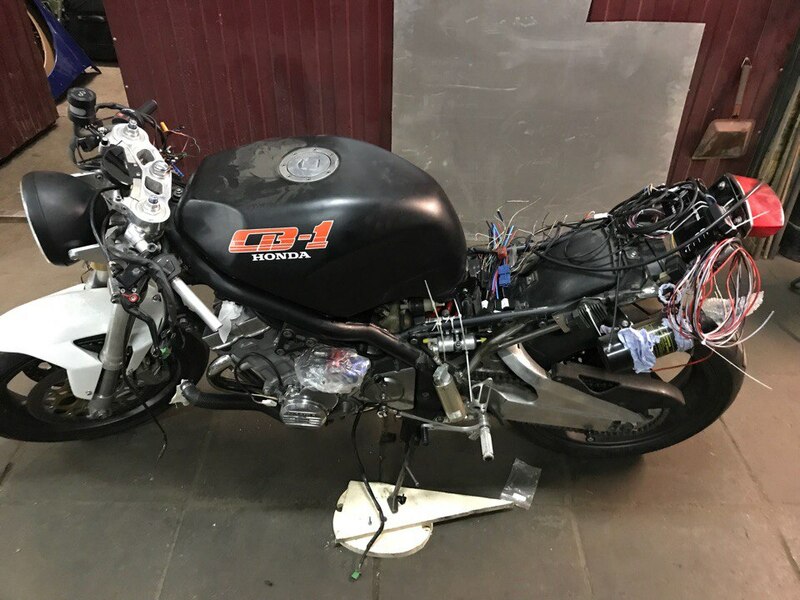 They will apply a small mechanical delay on the Nitrous side which is good for getting the fuel there at the same time. If the delay isn't quite enough the max has a delay feature to do the same thing electronically to minimize lean spikes on launch. 3. R11, I'm afraid the max cannot work with a ground signal between gears. The max needs a unique voltage for each gear that it is in to recognize the gear for correct map to be used. My building is nearly finished. We have completed all wite/nitrous routings and interconnecting. 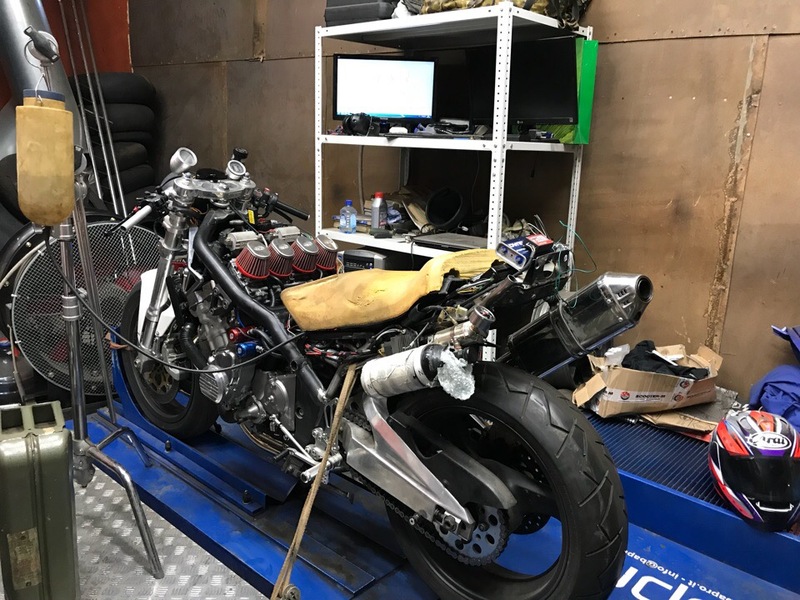 Now it is an engine RUN-IN period on a dyno. Is those values are OK? Should I just correct them in "Input calibration" menu? 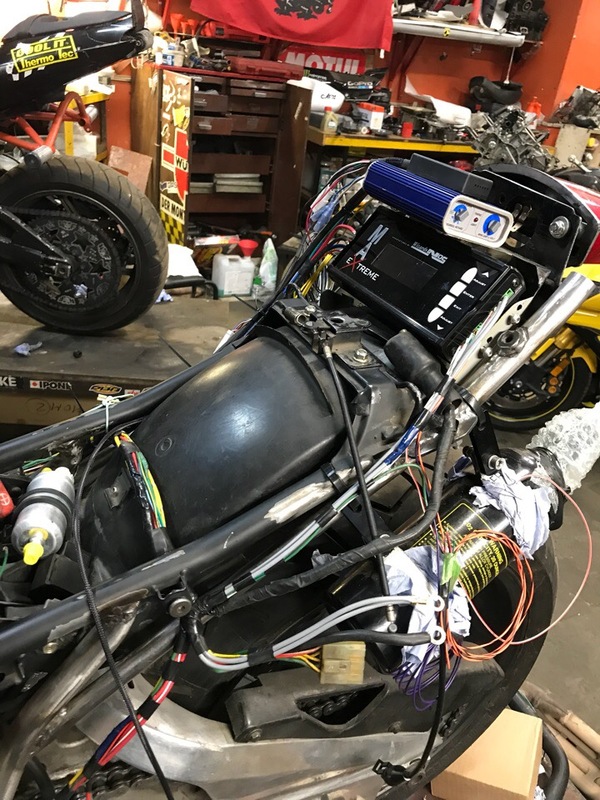 3) AFR gauge shows AFR value and it and doesn't change during working with throttle. I have two lambda installed (one for WB2 and one for Dyno run). Dyno's lambda shows that AFR ratio is changing, so I am sure, that AFR gauge shows incorrect values. Can this be the result of connecting WB2 White-Violet (AFR ground reference) to Maxi system ground? Sorry to hear about the faulty sensor. It should have some sort of warranty for a replacement. The fuel and nitrous sensors can be calibrated as you stated in the 'input calibrations' menu. I have an older unit that has physical pots and I suspect that the digital adjustment will be better. You are getting close, my friend! 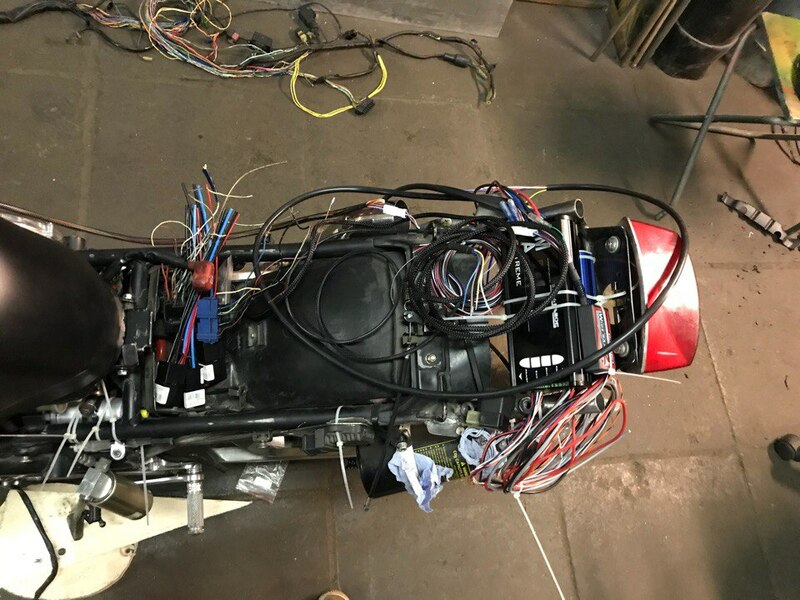 Run-in period is over and carburetor is nearly tuned. 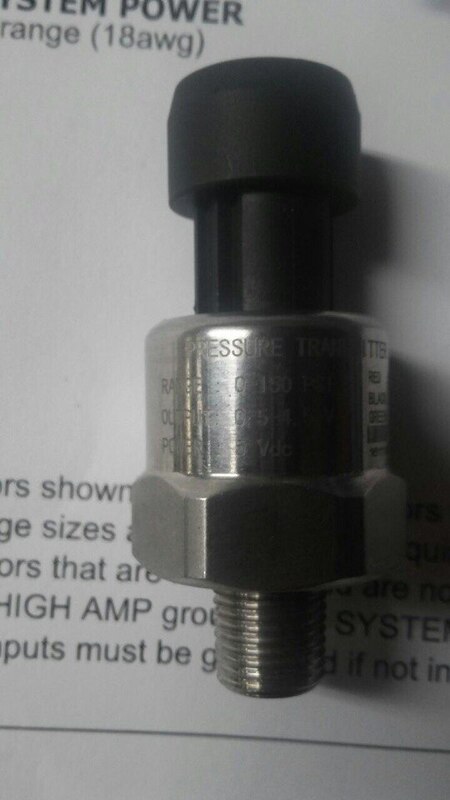 The problem of those sensors is that they have 1/8'' BSPT thread, so it cannot be inserted in a way to push seal ring enough. I tried to use thread sealant and to add additional seal ring (I putted 5!!! seal rings inside adapter in my last attempt) and it still leaks. What else can I do? Try another/additional adapter with tapered thread? You need to contact the wizards to get the correct adapter for the sensor. They will fix the issue you’re having.